As the kickoff of NaNoWriMo approaches, it’s a good idea to get warmed up. The same way you’d warm up your leg muscles before running, you need to make sure your creative muscles are ready for the task. Toward that end, I thought it might be helpful to point out the tiny writing prompts that we share on our Facebook Page. Maybe you aren’t aware of them–and judging by the statistics, you aren’t. 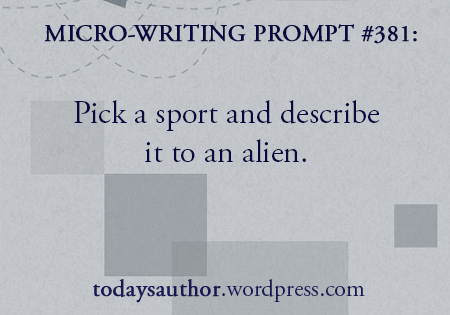 5 days each week we post a prompt that’s designed to give you the spark for a very short burst of creative writing. Most days you could respond to the prompt in 5 minutes or less, but there’s no reason you can’t stretch it into a longer bout of writing. These prompts have been going on for a while–there’s more than 450 already–and they’ll keep going up 5 days a week (no Tuesdays or Fridays, because on those days we put up prompts on this blog) through this year’s NaNoWriMo and beyond. 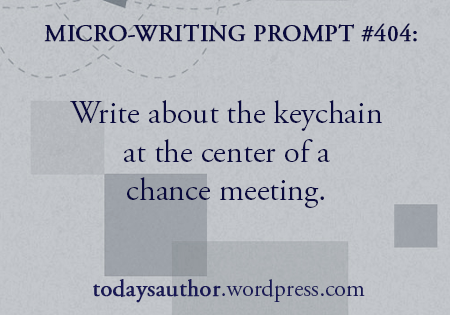 Here are a few examples of the Micro Writing Prompts. Check our Facebook Page for hundreds more. 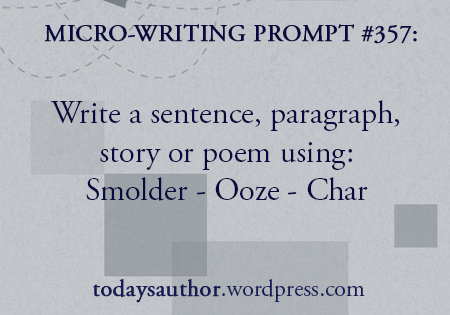 This entry was posted in Dale Challener Roe, Writing Prompts and tagged Micro Prompts, Micro Writing Prompts, prompts, Writing Prompts. Bookmark the permalink. I wish people would post their responses here so I could see how these prompts come to life. Sigh.